Orcs Must Die! and Orcs Must Die! 2 were both hits on the PC, thanks to their hack-and-slash, trap-infested survival modes that saw players take on unending hordes of slavering monsters. Robot Entertainment’s free-to-play multiplayer iteration, Orcs Must Die! Unchained instead focused on a MOBA-like PvP mode — but that will soon be left by the wayside like a poisoned, arrow-riddled troll corpse. This shift in the game’s focus will necessitate a reset of all player accounts when the update goes live. All progress will be erased and any real-money currency (gold) will be put back into players’ accounts, with an additional $5 worth of gold being added if players log in within two weeks of the update going live. 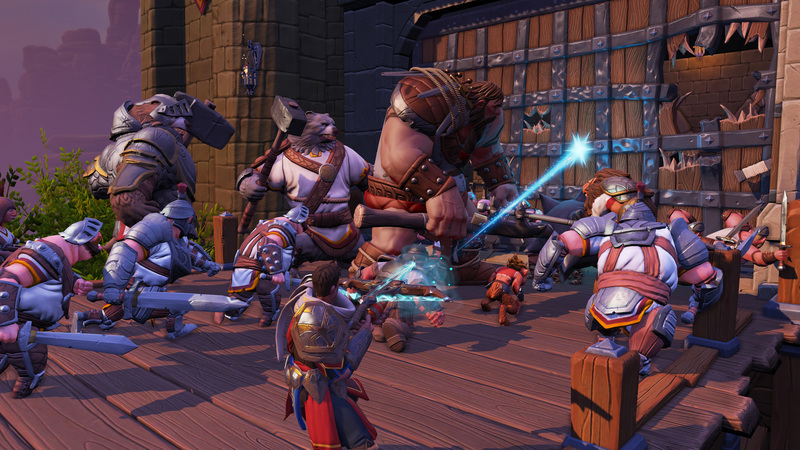 You can read more about these significant changes on the Orcs Must Die! Unchained website. PVE players left cause the Devs focused too much on PVP. Removing the remaining PVP players will kill the game. But OMD games were made for PvE. They were excellent at that. They shouldn’t really have a PvP feature. This is what happens when you put PVP in a PVE focus game. I completely forgot they added PvE a while back, like 1 year ago lol. I should give the game another try, maybe PvE it’s fun. Great move, but i not believe game will survive, all they doing like year is pushing to pay, very small and slow updates!